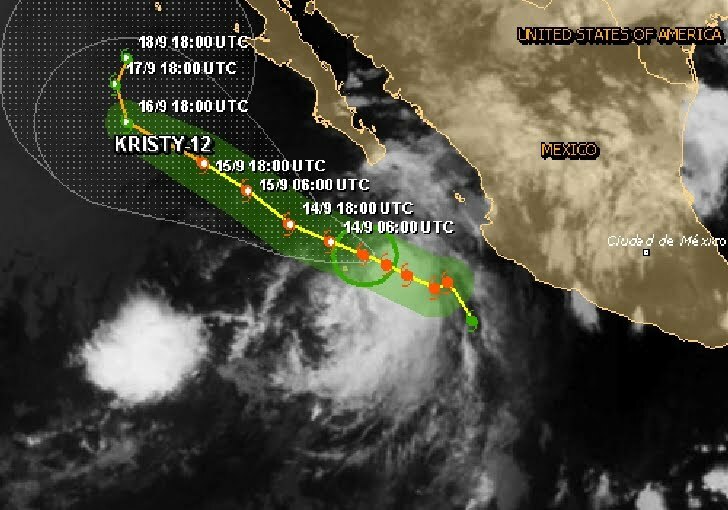 Tropical Storm Kristy continues moving to the west-northwest. 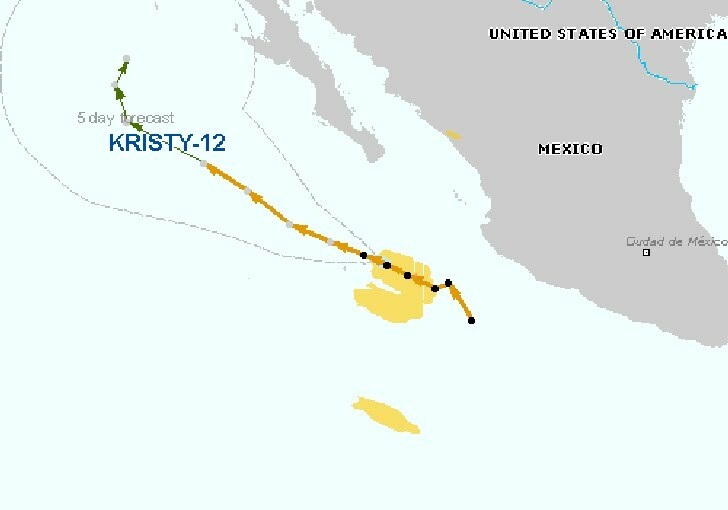 At 800 PM PDT the center of Tropical Storm Kristy was located near latitude 19.7 north/longitude 111.1 west, about 100km/65mi N of Socorro island and about 375km/235mi SSW of the southern tip of Baja California. Kristy is moving toward the west-northwest near 17 km/h - 10mph and a motion between west-northwest and northwest is expected for the next couple of days. Maximum sustained winds are near 85 km/h - 50mph with higher gusts. Tropical Cyclone Kristy can have a low humanitarian impact based on the maximum sustained wind speed and the affected population and their vulnerability. Updated: this report is based on advisory number 6.